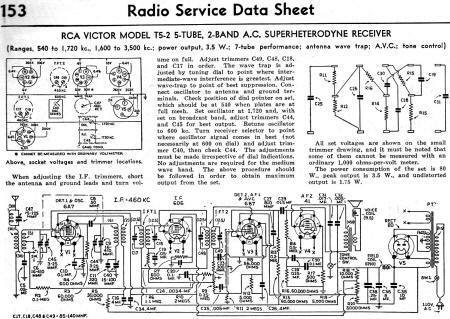 The RCA Victor Model T5-2 is a 5-tube, 2-band superheterodyne table model radio made in the mid 1930s. 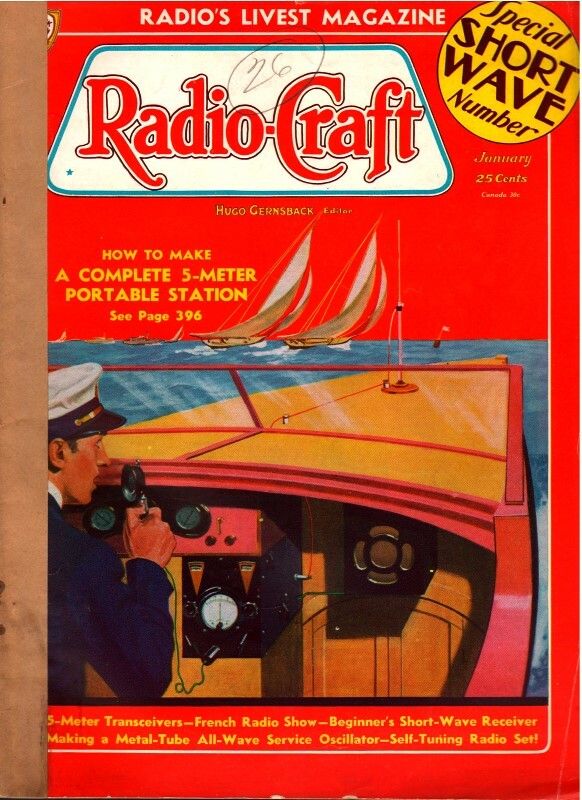 A Radio Service Data Sheet for it appeared in the January 1936 issue of Radio-Craft magazine. The image to the left was found on the RadioMuseum.org website. 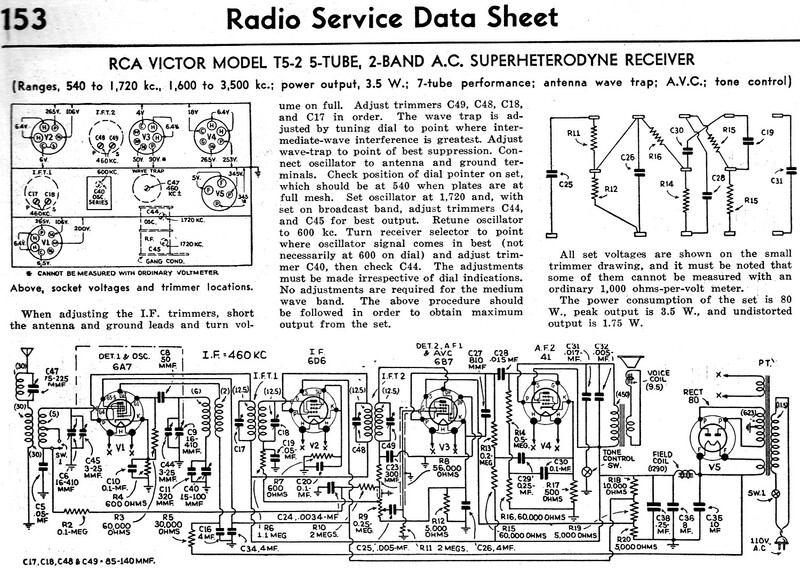 FM broadcasting was not in common use yet, so only AM bands and some shortwave bands were available. In fact, 1936 was the year that frequency modulation (FM) inventor Edwin H. Armstrong first demonstrated his newfangled concept that largely solved the noise problem. Adjust trimmers C49, C48, C18, and C17 in order. The wave trap is adjusted by tuning dial to point where intermediate-wave interference is greatest. Adjust wave trap to point of best suppression. Connect oscillator to antenna and ground terminals. Check position of dial pointer on set, which should be at 540 when plates are at full mesh. Set oscillator at 1.720 and, with set on broadcast band, adjust trimmers C44, and C45 for best output. Retune oscillator to 600 kc. Turn receiver selector to point where oscillator signal comes in best (not necessarily at 600 on dial) and adjust trim­mer C40, then check C44. The adjustments must be made irrespective of dial indications. No adjustments are required for the medium wave band. The above procedure should be followed in order to obtain maximum output from the set.